If you work from home, or even if you work in an office, having a tidy and organised workspace really does make for a more efficient working day. Wasting time looking through piles of paper, or scrabbling around to find a pen is definitely not the way to make your time at work as productive as it should be. Having a sloppy mess of a desk also looks a bit poor if you allow clients or customers to visit your working environment. In fact, a messy and disorganised desk can project the impression that you are a messy, disorganised worker, and that’s not the way to impress clients or win new business. So, if you are drowning in a sea of paperwork, it’s time to get tidying. Consider all of the following when having a declutter to ensure your work space becomes organised, easy to use and a veritable pleasure to sit at. First off, remove as much as possible from your desk, drawers, pin boards and other hiding places you have been stuffing things into. Start with a blank page, so to speak, and re-introduce the things you actually need versus the things you just haven’t bothered to get rid of. If you have a large space to deal with, or you have a lot of files you need to archive, why not consider renting archive storage space to keep you workspace as clean and tidy as possible. Now you have a lovely clear desk to start from, take a little time to identify the bits you actually need in order to undertake your daily duties. A dead-tech electric pencil sharpener, for example, may look totally cool on your desk, but if you never ever use a pencil, seriously, why is it there? Dispose of the things that you never use. Clear away all of those family pictures and limit yourself to just one or two items on the desktop. It may seem a bit bare at first, but trust us; you will appreciate the space later. We all work better when we have a system in place, and that idea should extend to where you work too. All the bits and pieces that you use most often should be the easiest to access, so organise your desk in order of importance. If you deal with a lot of paperwork, keep trays or files within easy reach, not just so you can grab them when you need them, but also so you can put them away easily when you have finished with them. Work from the left to right side of your PC or screen if you can, as our brains are naturally programmed to work this way so let’s give those cells a helping hand by having everything where it should be. Yep, in these technology driven times we all struggle with the mammoth amount of cables we have to deal with to keep all those gadgets functioning. Your PC, your printer, your phone and countless other pieces of kit will need to be plugged into a power source somewhere. Rather than feeling wrapped up in a bundle of cables, which looks unsightly and is quite frankly, potentially dangerous, tame those cables! You can purchase cable management systems from plenty of places. These will hold cables together, keep them tucked out of sight and stop them from becoming potentially hazardous. If you genuinely can’t fit everything you need into the space you have, the alternative may be staring right at you….find somewhere bigger! Granted, nobody wants to relocate unnecessarily or pay additional rent, but working in disorganised, cramped conditions is not conducive to effective working practices. Your business needs a strong foundation from which to operate from, and sometimes that requires much more than just cleaning out your desk drawers. 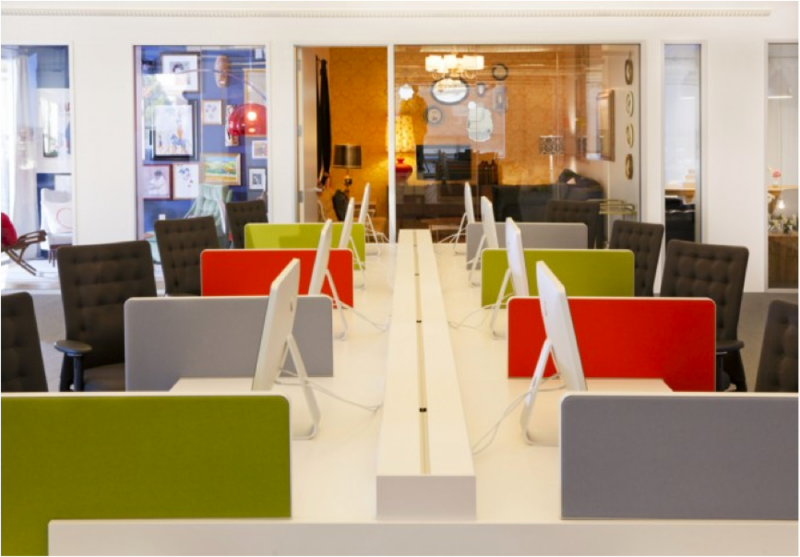 Why not consider renting office space that gives you all the space you need? A clean, well organised office will not only improve the way you work, but will present your business as a professional, well managed and successful operation. Whether you are looking for storage to keep your work area clutter free, or considering making the move to a bigger work space, call us on 01702 511222 or email us to see how we can help. Now, let’s get clearing!